The coral reef and associated fauna were absent here, no reefs adjoining to these islands. Other intertidal invertebrates show sparse distribution. Among the marine invertebrates, 6 species of crabs, 1 species of barnacles, 1 species of lobster, 5 species of gastropods and 10 species of bivalve. Supports 20 species of avifauna. A total 13 species were recorded belonging to 12 family?s and12 genera. Covered with Prosopis chilensis and Euphorbia nivulia. 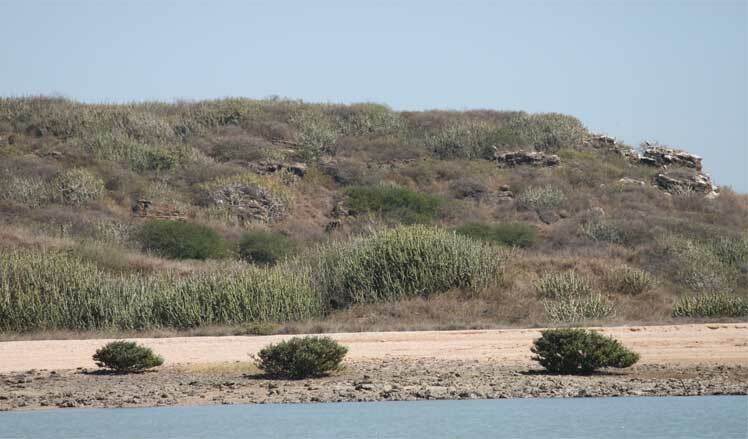 Euphorbia scrub was recorded to be dominant here with association with Commiphora wightii, Grewia tenax, Salvadora perscia, Capparis deciduas, Acacia nilotica and Prosopis chilensis. 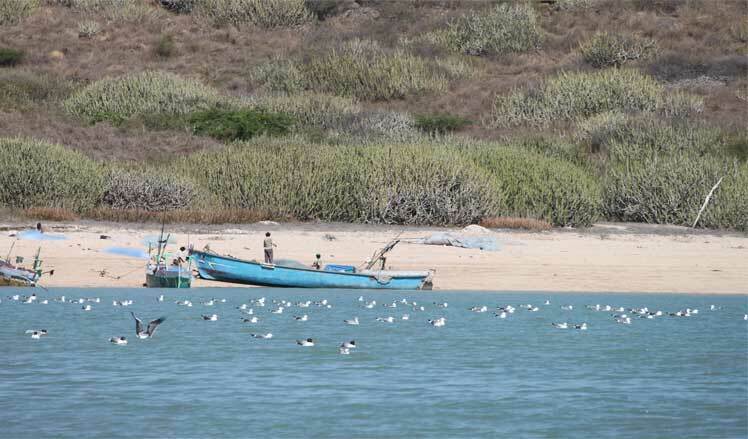 Three species naturally grown on the island were Acacia nilotica, Acacia Senegal, Prosopis chilnesis and Cordia gharaf.